When we lived in Seattle many years ago, I had friends from Syria, Jordan, Egypt, Libya and numerous other countries. I ate at their homes for dinner parties and breaking fast in Ramadan. I observed the traditions and tried to be a gracious guest, eating what they served and taking in the amazing flavors. Many times I asked for a recipe and a cooking lesson would follow! Soup is something that most people make for breaking fast. 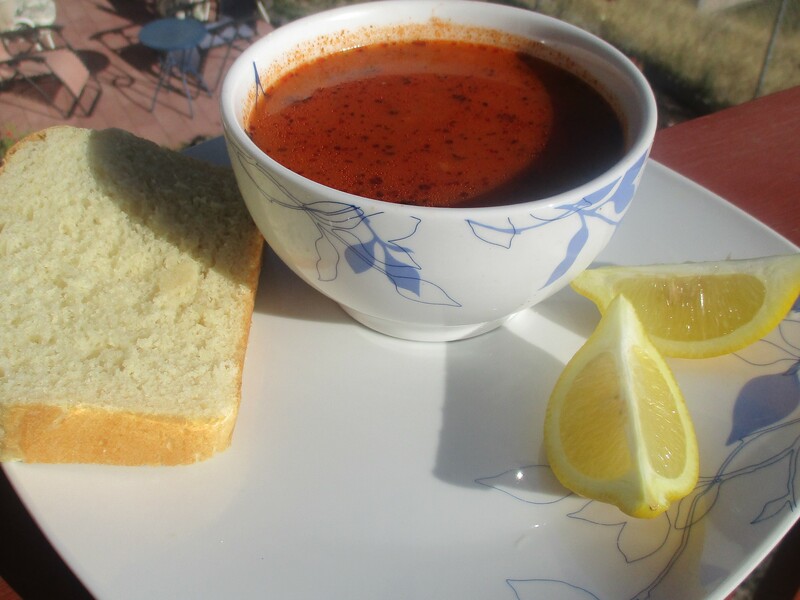 This soup was served at several Iftar (Ramadan dinners). I don’t know it’s name except shorba which means “soup”. This is the recipe, I hope you enjoy it! Put a few spoons of olive oil in a large pan and add onion and garlic, saute. Add beef and water, bring to a boil. Lower heat and cover, let soup continue to low boil until meat is done. Add tomato paste and mix in well. Add salt, cumin, cinnamon and pepper. 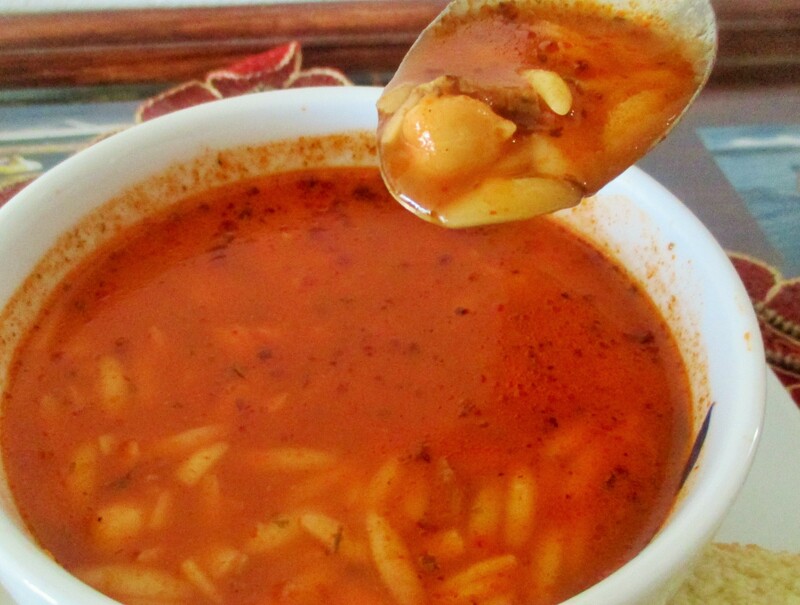 Continue simmering, add garbanzo beans to soup. Let this simmer to get the flavors mixed. 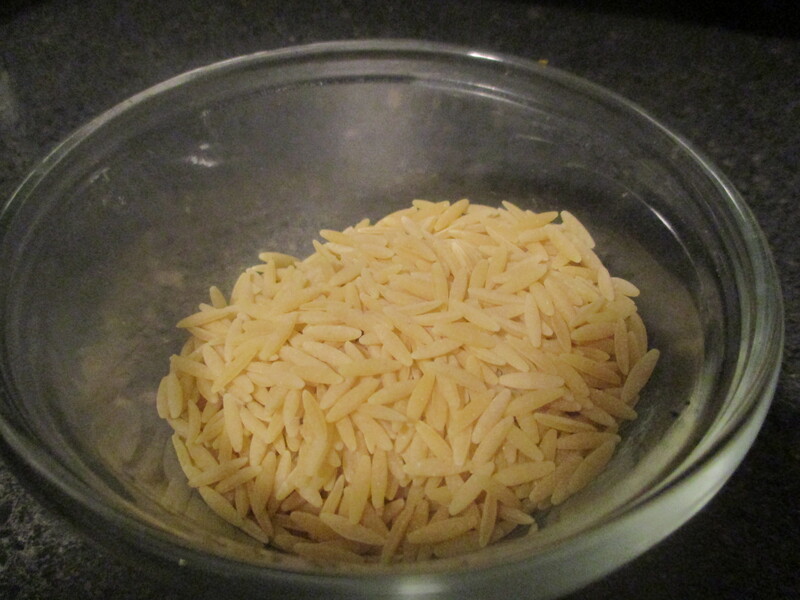 Add the orzo and let this cook until done, add parsley and mix in. When soup is done, turn heat off and sprinkle mint on top. Let set a few minutes to get this beautiful mint flavor infused into the soup.